Some of you might be familiar with Goyard’s Minaudière Clutch that was released back in January this year and have gotten your hands on one, or put yourself on the waitlist to get informed as soon it lands in stores. But for those who have not gotten an inside scoop of the piece or yet to make a trip down to Goyard’s standalone Singapore boutique at Takashimaya Shopping Centre to take a look and get up close with, here are 5 things you need to know about this lovely clutch. 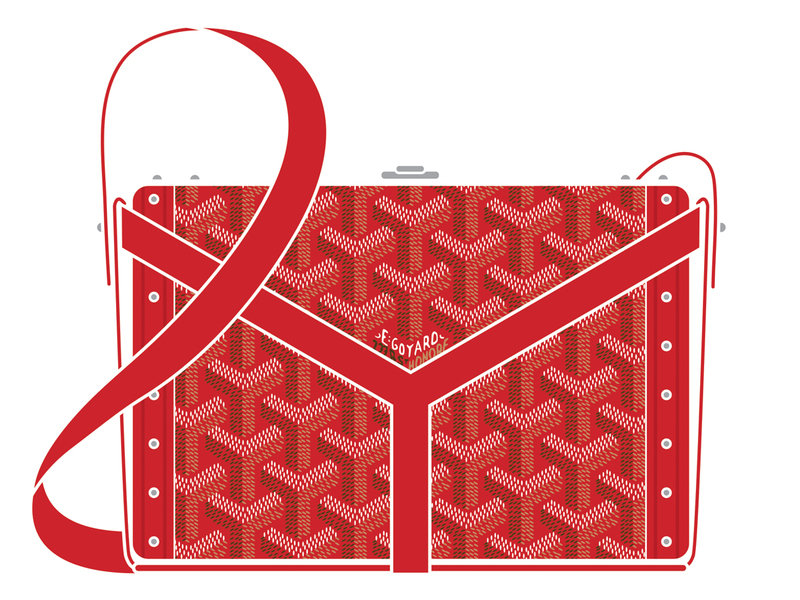 01 – The Minaudière Clutch is covered with Goyard’s signature Goyardine canvas and is framed in wood that gives it its stiff structure. And if you must know, trunks are one of the key areas the French luxury house specialises in, and this bag is essentially a hard-sided trunk box. 02 – As such, it is made available in exclusive hues like Silver and Gold as well (and not to be mistaken for Grey and Yellow) – colours that are reserved only for Goyard’s trunks. 03 – It’s a handy piece that measures 16.5 cm by 10.8 cm – one that will store a card case, a lipstick or two and a really compact charger – which isn’t much, but a lovely piece all round that you must have if you’re an absolute fan of the brand. 04 – If you’re all about carrying your bags hands-free, know that the Minaudière Clutch comes with a leather harness that forms a ‘Y’ shape that’s reminiscent of the luxury house’s iconic chevron monogram. 05 – As of today, there are altogether 12 hues that are available for the Minaudière Clutch. Regular colours like Black and Black/Tan are priced at SGD4930, while special hues like Blue, Burgundy, Green, Grey, Orange, Navy Blue, Red (pictured above) and Yellow are priced a tad higher at SGD6410. If you’re all for the elusive/exclusive Silver and Gold, they are priced at SGD7690 and come with a lovely sheen that’s a notch up from the usual hues that you are already familiar with.